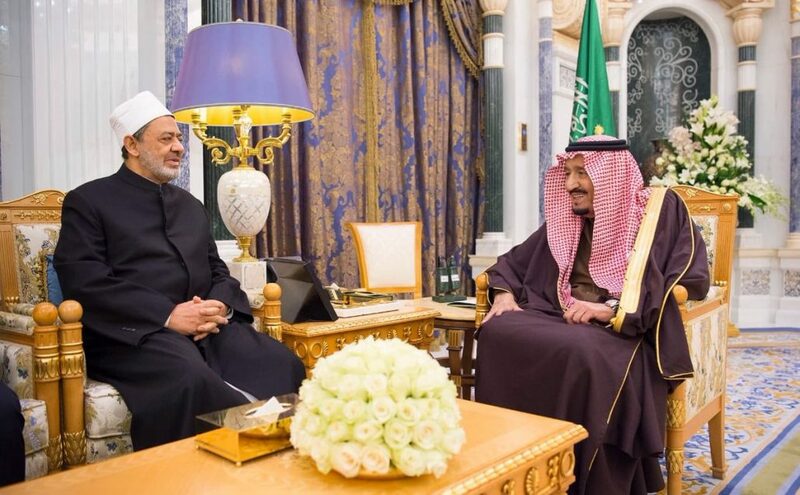 (Riyadh) – The Custodian of the Two Holy Mosques King Salman bin Abdulaziz Al Saud of Saudi Arabia, received at Al Yamamah palace, the Grand Imam of Al Azhar, Dr. Ahmed el-Tayeb, reported the Saudi Press Agency, SPA. King Salman welcomed Dr. el-Tayeb, praising Al Azhar’s role in disseminating the Islamic Sharia and serving the issues of the Islamic world. Dr. el-Tayeb extended his thanks and appreciation to the Custodian of the Two Holy Mosques for the generous hospitality and commended the Kingdom’s great services for Islam and Muslims.